People: 54% Indian, 32% Mestizo (mixed European and Indian descent), 12% Spanish descent, 2% Black, Asian minority. Religion: Over 90% roman catholic, small protestant population. 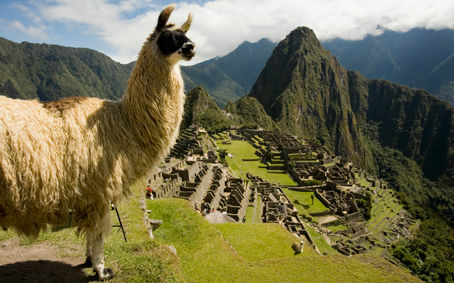 It is the multiple layers of great civilizations which makes Peru so fascinating. You can wander around colonial cities which have preserved the legacy of the Spanish conquistadors, visit the ancient Incan capital of Cuzco, explore the lost city of Machu Picchu and ponder the enigma of the Nazca Lines (answers on a postcard please). You don't have to be in Peru too long to realize that the "New World" had a rich and complex cultural life thousands of years before Pizarro turned up wearing funny clothing. All of this exists in a country with some of the most spectacular and varied scenery in South America. The Peruvian Andes are arguably the continent's most beautiful ones and the mountains are home to millions of highland Indians who still speak the ancient Quechua tongue and keep up a traditional way of life. The verdant Amazon Basin, occupying half of Peru, is one of the world's top 10 biodiversity 'hot spots' - a species-rich area of tropical rain forest that will make your head spin when you start to learn about its ecology. And the coastal deserts, with their huge rolling dunes, farmland oases and fishing villages, are underappreciated by travelers but offer the chance to get off the Gringo Trail in a big way. But you don't have to be a zoologist, an anthropologist or a mountain climber to enjoy Peru, all you need is a keen eye, a love for landscape, an interest in history. 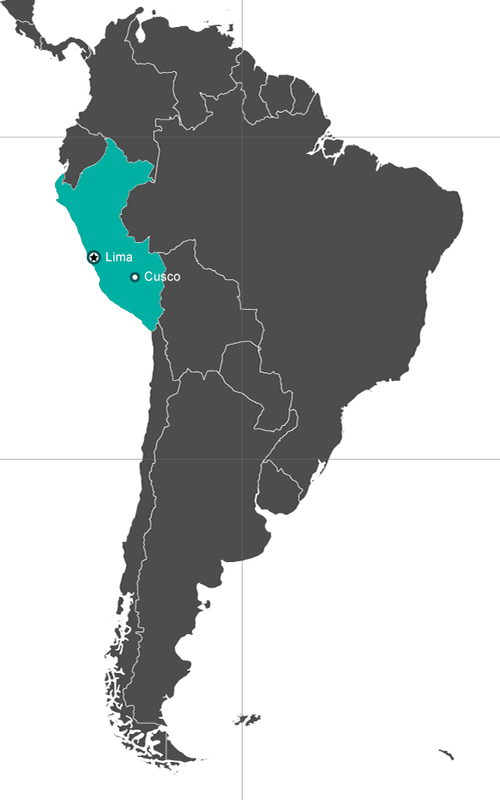 Peru is in western South America and shares borders with Chile (to the south), Bolivia (southeast), Brazil (northeast), Colombia (north) and Ecuador (northwest). It has three major regions: a narrow coastal belt, the wide Andean mountains and the Amazon Basin. The coastal strip is predominantly desert, but contains Peru's major cities and its best highway, the Carretera Panamericana. The Andes comprise two principal ranges: Cordillera Occidental and Oriental including Huascarán (6,770m), Peru's highest mountain. To the east is the Amazon Basin, a region of tropical lowland, which is drained by the Maranon and Ucayali rivers. Peru's peak tourist season is from June to August, being is the dry season in the highlands, and this is the best time to go if you're interested in hiking. Travelers do visit the highlands year-round, though the wettest months, January to April, make trekking a muddy proposition. Many of the major fiestas take place in the wettest months and continue undiminished in spite of heavy rain. On the coast, Peruvians visit the beaches during the sunny months from late December through March, although few beaches are particularly enticing. The rest of the year, the coast is clothed in mist. In the eastern rainforests, it rains a lot or course. The wettest months are December through April, though travelers visit it year-round since it rarely rains for more than a few hours and there's still plenty of sunshine to enjoy. Afternoon city tour visiting the Koricancha Temple and the Cathedral. Continue to the surrounding ruins: the fortress Sacsayhuaman,Kenko, Puca-Pucara and Tambomachay ruins. Early morning transfer to the train station (Vistadome service) for a full day tour to Machu Picchu, the Lost City of Inca civilization. After a three-and-a-half hour by Urubamba Valley arrival at Aguas Calientes station and continue with a 30 minute bus ride up to the top of the mountain, where is one of the most renowned examples Inca architecture, surrounded by lush vegetation. Guided tour of the most important sectors, streets, squares and temples. Buffet lunch at the Machu Picchu Sanctuary Lodge restaurant. Then return by bus to Aguas Calientes and there train back to Cusco. Inca walls, colorful dresses, sacred valleys, churches constructed on palaces, lost fortress in the heights of the Andes, legendary ways... all the beauty of a glorious past is drawn around the visitor who arrives at Cusco: the Sacred City of the Incas and the Archaeological Capital of America. From 1911 in addition, year in which the North American archaeologist Hiram Bingham discovered for the world the citadel of Machu Picchu, Cusco has caused an incredible magic attraction of thousands of travellers in the world whose venture, every year, on the millenarian Inca Trail looking for to conquer the top of this archaeological monument, one of most impressive in the world. 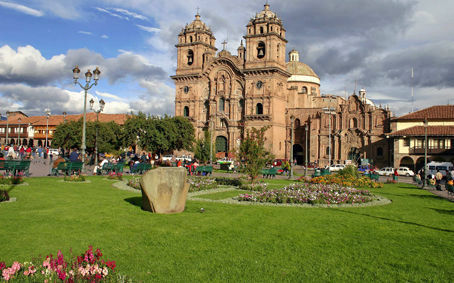 The city, nevertheless, shows many other attractiveness that would be enough to attract the tourist: the Main Plaza, call by the Incas Huacaypata, the district of the craftsmen of San Blas, the Convent of Santo Domingo, built on the Temple of the Sun or Koricancha, the Palaces of the Inca and his royal court, and a long list of other archaeological and historical wonders. To the outskirts a series of circuits can be done, including the imposing ruins of Sacsayhuaman or Tambomachay, in which the visitor can make all type of adventure sports and to be contributor of the most spectacular religious party of the continent. Some of these celebrations are the Qoyllur Rit`i, that is made to 4,000 meters on the level of the sea, the procession of the Corpus Christi or the famous Inti Raymi, are counted between most impressive of their type in the world. Possessing of a interesting nocturnal life, Cusco is also a magical, vertiginous and exciting city. All this, with the archaeological richness that is found almost in each one of its streets, makes of the Sacred City of the Incas the most spectacular destiny of the American tourist circuit.